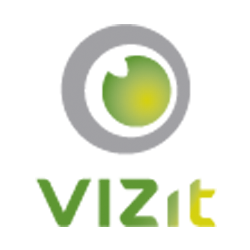 With Vizit 6.0 comes the ability to write and register custom file retrievers which allow you to view documents from nearly any content source imaginable. This article walks you through the process of developing and registering a custom file retriever. The rest of this article will explain the details of how to write the specific code for viewing files outside of SharePoint. In other scenarios, it may be necessary to retrieve the stream to determine the proper extension. In those cases, it is highly recommended that you maintain a private variable to store the stream after you've used it. This will allow for any subsequent calls to get the stream to be fast. Lastly, you must implement the getter of the Id property. The value of this may not change. It is the unique value identifying this plugin and can be used to unregister it in the future. Because the IFileRetriever controls the immediate connection to the file source, and because calls to IFileRetriever are made in the context of the web request, you have full access to SPContext and can base your access to various files on that information. This will allow for trusted access to nearly any third party source. With the advent of Claims in SharePoint 2010 and 2013, even more secure mechanisms can be used to gain access to content without the need to impersonate a common, high-access user account as shown in the example above.